If your car runs out of coolant or water, it can have a devastating effect on your engine. Remember, your engine runs at a high temperature, and it needs some form of cooling to prevent overheating. Without water or coolant, the cooling system in your car will no longer be effective, and the engine temperature will rise, and this will cause serious and often expensive damage. Some cars have safety features built in that prevent the car from overheating. If your vehicle does not have this kind of feature, it should at least have a heat gauge that will tell you how hot your engine is. Keeping an eye on this heat gauge is important and, as soon as you notice that it is going up and not coming down, you might want to pull over. 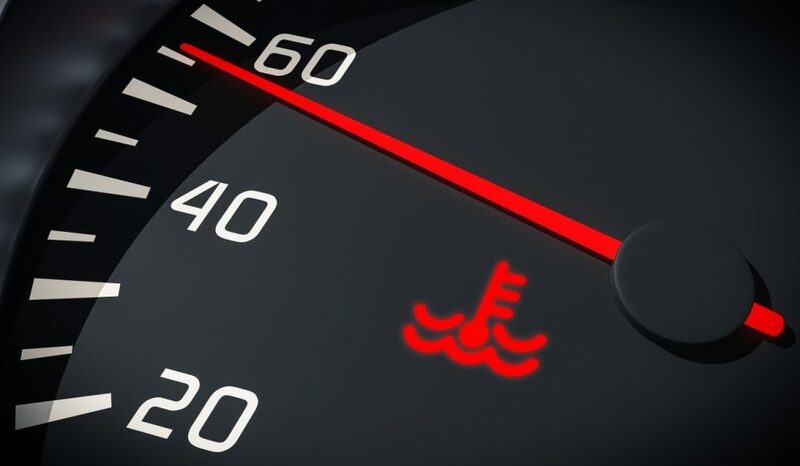 First things first, you should never check the water level of your vehicle when the engine is hot. If there is water in the system, it will be very hot and can even result in burns. Allow the engine to cool down before you investigate. If your temperature gauge has gone into the red, you should call roadside assistance and possibly have your vehicle towed rather than waiting. If your car has cooled down and you are able to check the radiator, feel free to do so. It’s always a good idea to keep a bottle of water in your car so, if you have some water, you can top it up, and hopefully, this will solve the problem. Make sure that you check for leaks too. If your car is leaking water, a simple top-up will not get you very far. Similarly, if you see any smoke, you should avoid turning that ignition key and call an expert instead. Should you be able to top up the water and everything seems normal, it’s still a good idea to have your vehicle checked by a professional. They will be able to check all of the parts in the cooling system and determine if wear and tear or damage are present. If any part needs to be replaced, it is important to do so before driving your car any further. Another good tip to remember is to check the fluid levels of your vehicle regularly. Just as you should monitor the oil levels on your car, so too should you check the water. By getting into the habit of checking your water and oil before each trip (even short drives), you can avoid serious engine damage and inconvenience. Remember, check the water before you start your car and always check your driveway whenever you pull out. Any leaking fluids will leave their mark in your driveway and are a good indicator should something be wrong. Finally, don’t forget to only use authorized and trained mechanics to work on your vehicle. If your car is under any kind of warranty, it is important that you follow the claim procedure regarding towing and repairs or your warranty could become void. At A-Protect Warranty, our goal is to ensure that you have the very best coverage at the most affordable rates. Contact our team today at 1-866-660-6444 for professional warranty advice that caters to your needs.